Painting Apprentice. 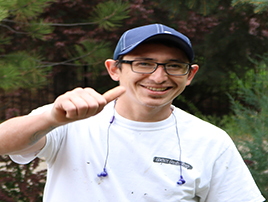 Lucas has been with B&K Painting for over 2 years now. Born in Argintina, Lucas has been learning the trade quickly here in the United States. 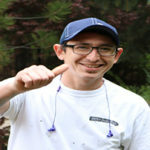 As part of our power washing, prep and painting crew, Lucas has progressed to painting trim and more complicated tasks. Lucas is well on his way to being a key element in our company. Lucas can be seen cruising around his Harley and always has a smile on his face. I would describe Lucas as a reliable, trust worthy, hard working, and a fast learner. Lucas is learning to handle all aspects of the job from painting with an airless sprayer to cutting a straight line with a brush. Hopefully Lucas will be running a crew for us some day. Lucas enjoy talking with his kids back home, fishing, motorcycle riding, and hunting.